Attention: Hall Tickets Of - Notification No.05/2019 - Research Officer In A.P. Legislature Secretariat Service & Notification No.19/2018 - Assistant Public Relations Officer In A.P. Information Subordinate Service & Notification No.14/2018 - Extension Officer Grade-I (Supervisor) In A.P. Women Development And Child Welfare Sub – Ordinate Service. (General Recruitment) (Only For Women) – Will Be Available From 24/04/2019. NOTE: IN CASE NOT SUBMITTED "FEE WILL NOT BE REFUNDED"
" ATTENTION: DEPARTMENTAL TEST - NOTIFICATION NO. (04/2018): LAST DATE FOR FEE PAYMENT AND APPLICATION SUBMISSION FOR NEW APPLICATION WILL STOP BY 11:59 PM 14.05.2018." Online Application Submission for Departmental Tests :: May, 2018 (Notification No. 04/2018) has been enabled. Attention: Applicants for the Screening Test of Assistant Professors of notifications issued by the Andhra University, Visakhapatnam: As per the oral Communication received from Andhra University at 8:00 PM today (03/04/2018), the conduct of the Screening Test for Applicants to the posts in Andhra University is subject to vacation of stay by Hon’ble High Court. Attention: Applicants for the written test for recruitment of Assistant Professors of Universities in AP - The Hall Tickets are not available to download on Today 25/03/2018. They would be available soon. Further communication will be issued in 2 or 3 days. There is no revision in the keys of Gynecology, General Medicine, General Surgery, Orthopedics, ENT and Pathology as no Objection were received. ATTENTION: Candidates for Group-I - 2011 - Interviews - In the check list and memo , it is mentioned that Govt/PSU employees shall bring NOC. It may be read as they shall bring permission letter/intimation of apprearing for the examination if they were in service while applying. ATTENTION: Candidates for Group-II Recruitment – Notification No.18/2016 – If any Candidates feels that his name is not included though it should have been included in Verification list published on 15/12/2017, He/She may send brief details including Hall Ticket No. and reason for seeking inclusion (Except disqualified & Debarred candidates) to mail address appsc.queries@aptonline.in The request will be examined and necessary action would be taken - 16/12/2017. Response sheets for Notfn.No. 10/2017 - Departmental Tests Nov-2017 are available in 'View Response Sheets' tab in Candidates Login. Objections are accepted only in writing in the prescribed format on / before 15-12-2017(Published on 04/12/2017). Response Sheets for Notification No. 18/2016 - Group-II Services are available in the "View Response Sheet" tab in the Commission's Website. Attention - Departmental Tests(Notification No. 10/2017) : Last date for fee payment and application submission for new application will stop by 11:59 PM on 07/11/2017. Attention - Departmental Tests(Notification No. 10/2017) : With discussion of service provider It seems lot of candidates paid examination fee, but didn't submitted their applications, candidates may submit their applications before 11:59 PM on 07/11/2017. Attention - Departmental Tests(Notification No. 10/2017) : Last date for Correction fees submission & Correction application submission is 09/11/2017 11:59 PM. Online Application Submission for Departmental Exam (Notification No. 10/2017) has been enabled. Response Sheets for Notification No. 27/2016, ASSISTANT STATISTICAL OFFICER IN A.P. ECONOMIC AND STATISTICAL SUBORDINATE SERVICE are available in the "View Response Sheet" tab in the Commission's Website. Attention: The remaining subjects i.e (GS&MA, Statistics, Micro Biology, Biotechnology, Hindi) there is no Objection hence the earlier decision of the Commission is treated as a final. Results for Certificate Verification to Notification No.32/2016 Town Planning Assistant in A.P. Town & Country Planning Service(2nd spell)(Published on 09/09/2017) - Click Here. ASSISTANT ENGINEERS(ENV.,) IN PH&ME DEPARTMENT (NOTIFICATION NO: 10/2016) - List of Provisionally Selected candidates (Published on 09/09/2017) - Click Here. Revised Keys and decision of the Commission's on Objections to Notification No.26/2016 Lectures in Government Degree Colleges in A.P Collegiate Education Service Subjects, Mathematics and English (Published on 09/06/2017) - Click Here. Attention to the Candidates for Group-I (Notification No.36/2016).Main Examination held from 17-08-2017 to 28-08-2017).The objections on Question papers are called for from 04-09-2017 to 11-09-2017. The objections shall be in writing, Objections with reason in brief not exceed fifty words, clearly mention separately for each paper and paper code, date of examination with evidence if any. Late objections including those due to postal delay would not be entertained. ATTENTION: 1.Final response sheets are under processing and would be displayed within few days. 2.To avoid confusion, Candidates are advised to check the option selected by them for each question with final key and decision of the Commission published now, instead of looking into the other options in their response sheet because the options are jumbled. "Queries on Keys while viewing Response Sheets for Computer Based Test :- Several queries are received requesting that options as per key are not correct, this is because Candidates are confusing the options in response sheets which are jumbled. Therefore, to avoid confusion, Candidates are requested to compare their answers with the answers in Question Paper and Decision of Commission published on website, which would present the correct position. - Sd/- Secretary APPSC 26/08/2017"
Attention to the Candidates for Notification No.28/2016 for Mathematics the revised keys would be display in 3 to 4 days. ATTENTION: Candidates for Group-III Main Examination - Notf. No. 29/2016 and Web Note Dt: 07/08/2017 - Its inform that though response sheet have sent to the candidates on 08/08/2017 the Papers were not displayed on 08/08/2017 the same are Hosted and time is given till 29/08/2017 for sending Objections because candidates need to compare keys with Question Papers. Revised Keys & Decision of Commissionfor Group-II Services Mains - Notf. No. 18/2016 are published. Candidates may send their objections only on revised keys in prescribed format from 16-08-2017 to 18-08-2017, as there are holidays in between. For Revised Keys - Click Here. For Decision of Commission - Click Here. Response Sheets for Notification No. 29/2016, Panchayat Secretary (Grade IV) are available in the "View Response Sheet" tab in the Commission's Website. DEPARTMENTAL TESTS (NOTIFICATION NO: 06/2017) - Paper Codes - 05, 36-49-67, 155 (Passed Candidates) The Viva Voce is scheduled on 08.08.2017. Report at the O/o. APPSC, Prathibha Bhavan,Besides Gandhi Bhavan, Nampally, Hyderabad by 10.00 AM on 08.08.2017. ATTENTION: Group-II Notf. No. 18/2016, at GITAM center Candidates – With regard to the response sheets of the candidates who appeared at the GITAM University (Venue Code: 286) and in whose cases response sheets are shown as “Absent”, may note that response sheets are withheld pending enquiry by the Commission and after decision is taken by the Commission the response sheets will be released in all cases where violation is not noticed. The respective candidates are requested to note this point. ATTENTION: Group II Candidates Notf. No. 18/2016 - It has come to notice that, certain mischievous elements are spreading rumors and false news through fabrication of false screen shots. All the candidates are requested not to believe the rumors. We are in the process of identifying the culprits and will take action against them. If any Candidate has any specific evidence of malpractice, he/she shall bring it to the notice of the Commission in writing on or before 31/07/2017 so that action can be taken by the Commission. Vague allegations would not be entertained. Response Sheets for Notification No. 18/2016, Group - II Services are available in the "View Response Sheet" tab in the Commission's Website. The Group-II Examination (Main) Paper-I held peacefully. Candidates are requested not to believe any rumours. ATTENTION: Candidates for Group-II Main Examination - Notf. No. 18/2016 - It has come to notice that certain mischievous elements are spreading rumors in social media that Group-II Main Examination would be postponed. The examination will be held as per schedule on 15th & 16th July, 2017. Candidates are requested not to believe in such rumors. No electronic gadgets will be allowed for the examination. Virtual calculators would be available on computer monitor. Pen and Paper would be provided to each candidate for rough work. ATTENTION: The application for Providing the Post Preferences/Examination Center options for Notification No.36/2016, Group-I Services has been re-enabled in Candidate Login. Attention : Many candidates who have qualified for Group II(Notfn : No 18/2016) Mains examination did not furnish their Local Zone and Local District information, hence the Local Zone was shown as blank for them in their halltickets. On the same, Group II Data corrections application has been enabled in the commission website and will be enabled till 15th July, 2017. Candidates are requested to login to the application and check their Biodata, Local Zone, Local District, Community etc.. and correct them accordingly. The corrections made in the application will get updated in the hallticket on next day from the date of submitting the corrections. ATTENTION :: All Candidates appearing for NOTIFICATION NO : 34/2016 ASSISTANT B.C. 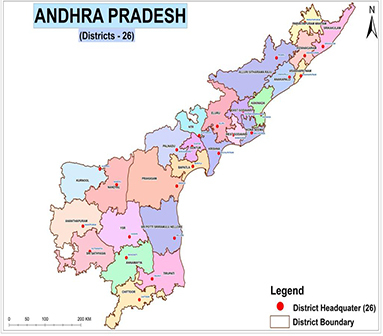 WELFARE OFFICER IN A.P. B.C. WELFARE SERVICE, ASSISTANT SOCIAL WELFARE OFFICER IN A.P. SOCIAL WELFARE SERVICE, ASSISTANT TRIBAL WELFARE OFFICER IN A.P. TRIBAL WELFARE SERVICE : It appears that there is incorrect Reporting in News paper about Date of Examination. The date of Examination is 25/06/2017 as already scheduled and there is no change. Response Sheets for Notification No. 06/2017, Departmental Tests May, 2017 are available in the "View Response Sheet" tab in the Commission's Website. Attention: Candidates who are selected to the post of AEE but present in verification list for Assistant Hydrologist/ Technical Assistant (Hydrology)/ AE/AE (Env)/ Deputy Surveyor. The Commission Decided that based on your preference to the post of AEE, you would not be considered for other posts so that no post goes vacant. If you have changed your decision and do not want to prefer the post of AEE, you may send a letter in writing to the commission before 30/06/2017 stating your preferences. This exercise has no bearing on list of AEE which is already finalized. Notification No.36/2016 - Group-I Services : Application Screen has been enabled for providing Post and Examination Center Preferences to those who qualified for Main Examination. Last Date for submission of Preferences is 30/06/2017. The candidates are not supposed to make a phone call to the Hon’ble Chairman, Hon’ble Members, the Secretary on the above queries.